Perhaps the most stylish shoes of our time, loafers are the ultimate in refined, classic footwear for a range of reasons. Easily able to be dressed up or down and flattering in an assortment of materials, loafers are the staple that is here to stay. You shouldn’t feel guilty about investing in this shoe style, given they’re minimalistic and easily adaptable for different looks and seasons. 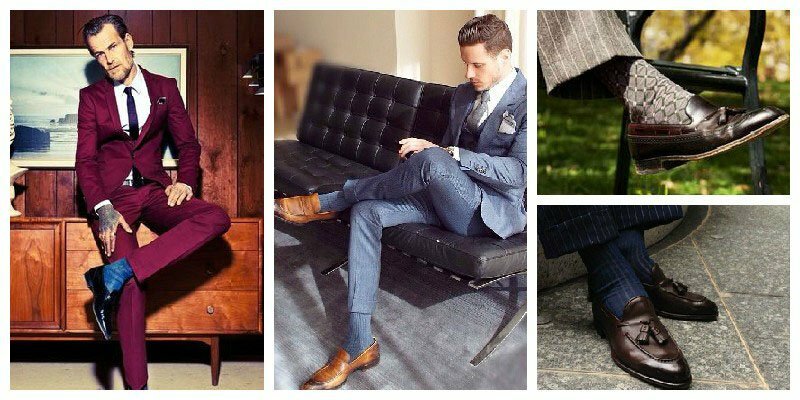 Be aware, however, that the way you style loafers is incredibly important. 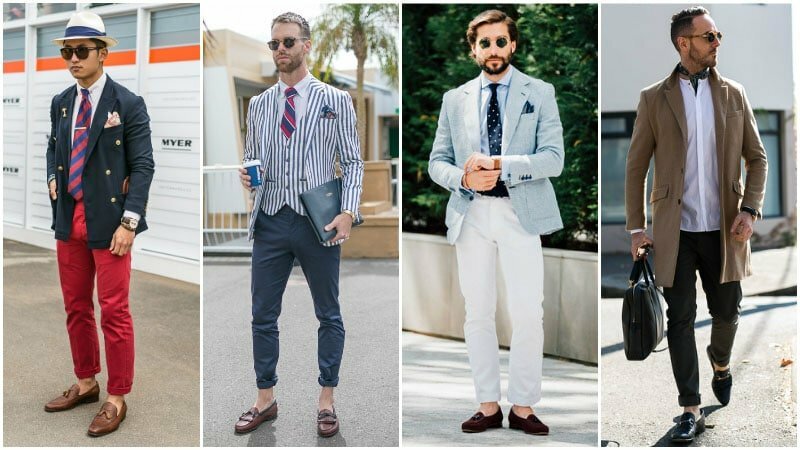 Here we show you how to wear loafers for a dapper look. Loafers are of Scandinavian origin. A Norwegian introduced the footwear style, which was later adopted by preppy culture. Today, this shoe has evolved into a more streamlined style, perfect for incorporation into casual or formal looks. Its progression in time has shown its purpose change from utility to aestheticism. Now, they are simple, classic and far more versatile than other lace-less shoe options. One of the most traditional styles, the penny loafer is a stylish minimal shoe. It is also versatile, making it an excellent purchase. The penny loafer’s name was established in the fifties when it enjoyed profound popularity with prep students. The shoe emerged as a classic Americana staple, featuring predominantly in collegiate outfits across the country. It was a preferred shoe option due to its simplistic style and easy adaptability. Today, the penny loafer is a nod to the past and is available in a range of different materials suiting every gentleman’s taste. Incredibly stylish, the tassel loafer is our favourite of the many styles this shoe comes in. Clean, simple with the playfulness of a single tassel on each shoe, this one is perfect for your wardrobe. 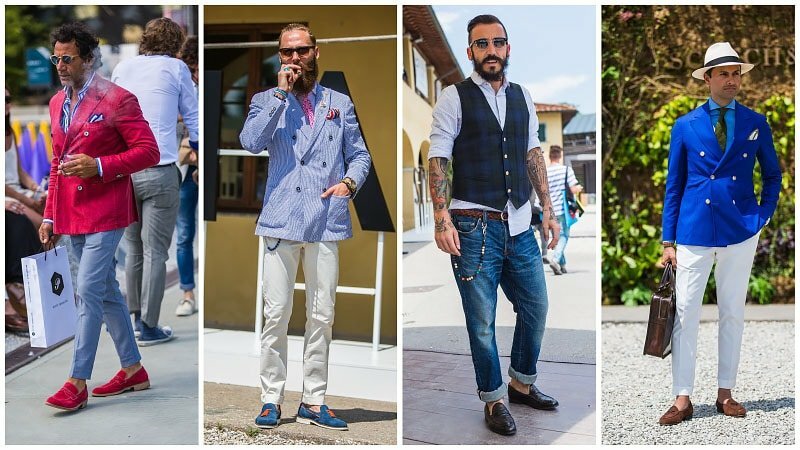 It is a humble ode to the great European style, alluding to classic Italian menswear. While the tassel loafer is often made of leather, suede is another excellent choice. 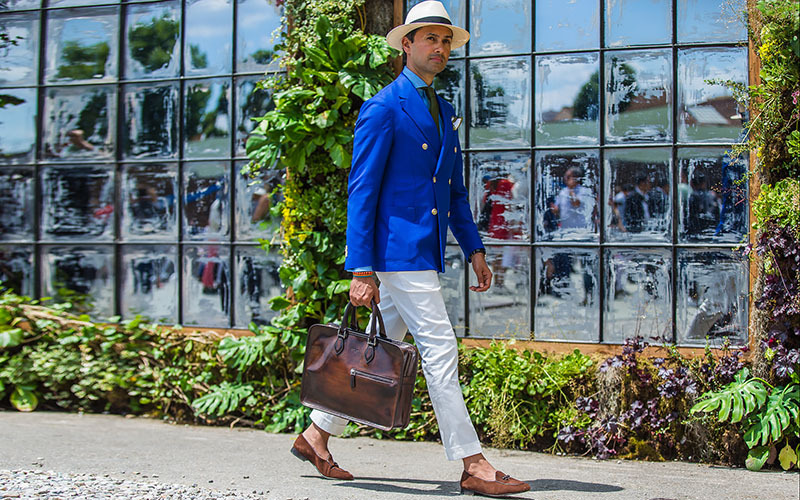 Suede will also allow you greater freedom when it comes to adapting your tassel loafer to different dress codes. Perfect alongside a well-fitted cotton suit or paired with a pair of slim chinos, tassel loafers work well in shades of beige, brown, navy and khaki. One of the most distinct versions of the loafer, the Gucci loafer is known for the metal clasp across its front. While this style of loafer has enjoyed popularity in the past, be cautious when choosing appropriate versions. Our tip when it comes to this loafer is to go for designs that are simplistic and done in the most classic of colours and materials. You’ll want to embrace a more traditional approach to this style and stick to browns and blacks. 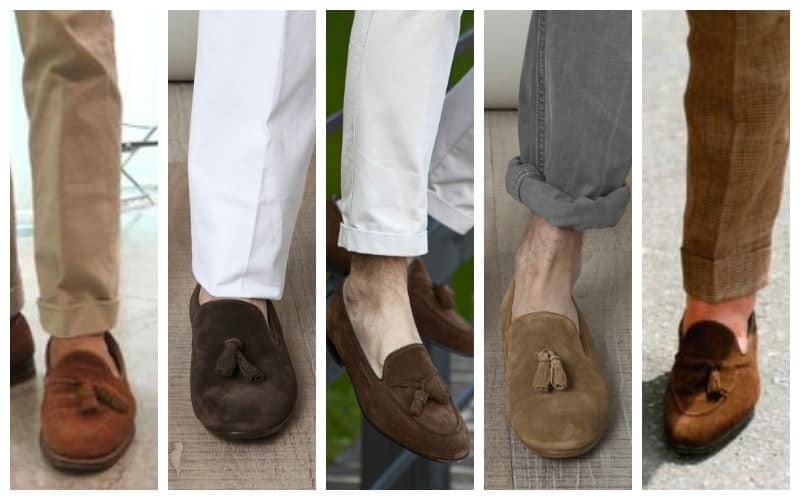 For versatility, suede loafers are an excellent option. Suede is incredibly adaptable because it can be dressed up and dressed down. Suede loafers also have a bit of texture to them, which lends quite nicely to the overall dimension of your shoes. These loafers are also useful for semi-formal looks, as they are neither super casual nor super formal. Loafers in leather are also encouraged, but we cannot stress enough that it’s the style of your shoe that will make all the difference. Keep in mind that you can opt for patent leather styles for more formal occasions. The gloss of genuine patent leather adds an excellent shine to simplistic silhouettes and dresses up your clothing. 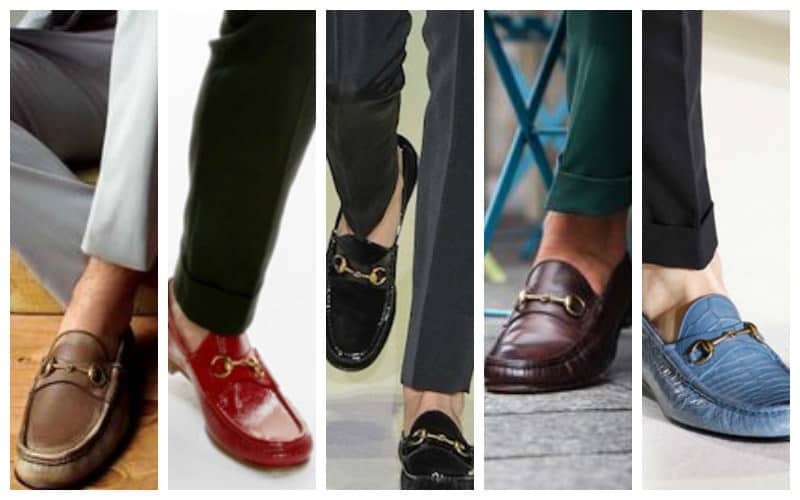 Black may be classic, but there are a variety of other loafer colours that can be more versatile. Dusty brown loafers, for example, are the perfect pair to have because they suit a broad range of palettes and can suit casual as well as more dressed up looks. Navy is also a good tone to consider and works well to complement colours like whites, beige and emerald greens. Additionally, it looks great in both leather and suede. Burgundy is another favourite. It is surprisingly versatile and can work well to brighten up your wardrobe. 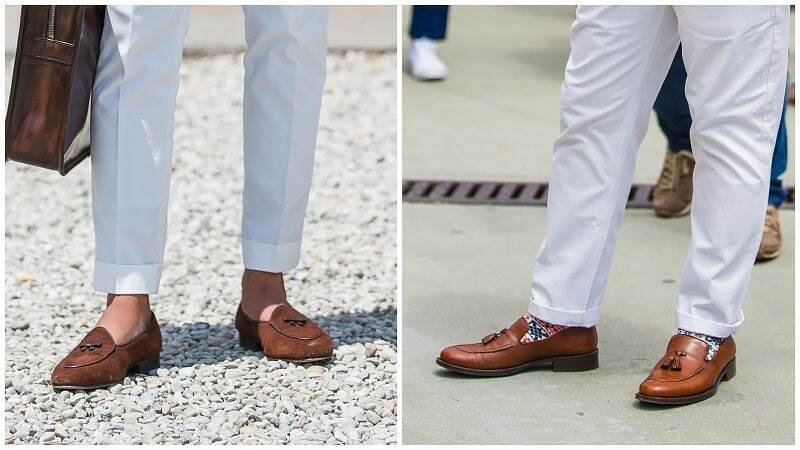 If you’re after a pair of loafers to suit neutrals, beige will work well and complements tanned skin. Adapt loafers into your casual look for a grown-up take on daywear. 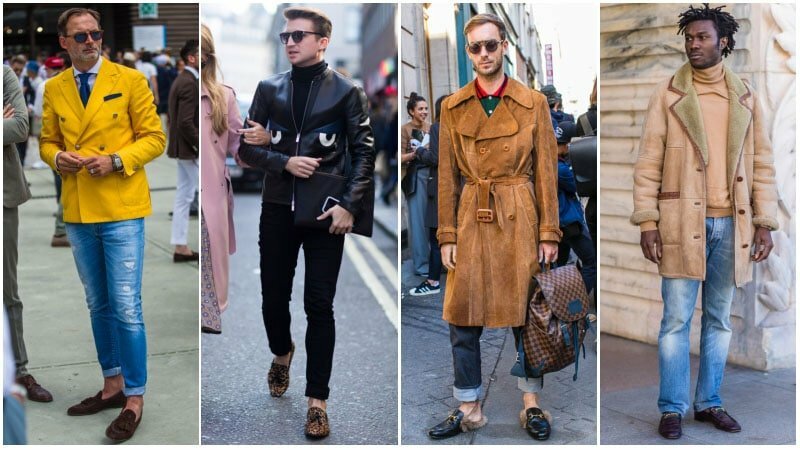 You’ll be surprised how the simple decision to swap your usual trainers for loafers can make your outfits look a lot more put together. The trick here is to ensure that they aren’t overly formal or dressed up. You’ll want them in more versatile fabrics to appropriately adapt them to your casual looks. Suedes and lightweight textured loafers will do just that. 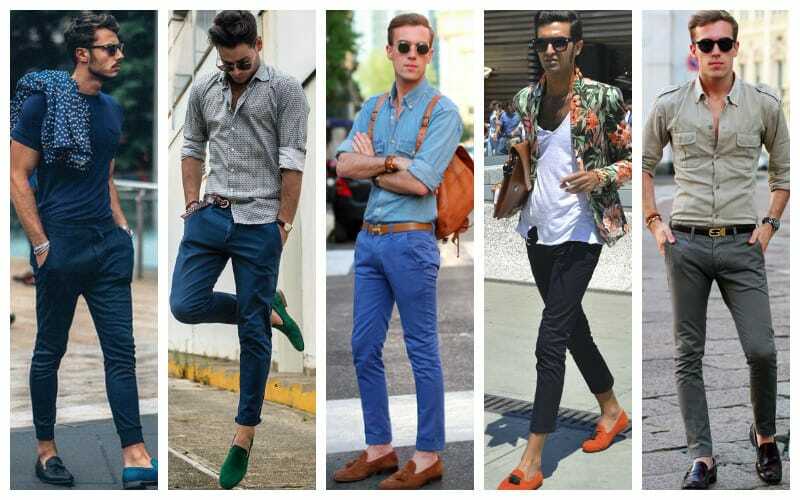 For another novel way to wear loafers for casual wear, try out more summery colours. Powder blues and greens are the perfect colours to do so. For the more ambiguous dress codes, loafers excel at leaving you looking dressed up but still relaxed and simplistic. For failsafe semi formal looks, opt for classic colours to complement your staple trousers and dress shirts. Loafers also align well with preppy blazers. However, be sure to keep the tones of your outfits in the same colour palette. In between seasons, team your loafers with cable knit sweaters and shawl neck cardigans thrown over your shoulders for classic Americana vibes. Keep in mind that suede works phenomenally for more vague dress codes. Also, ensure your clothing is well tailored. 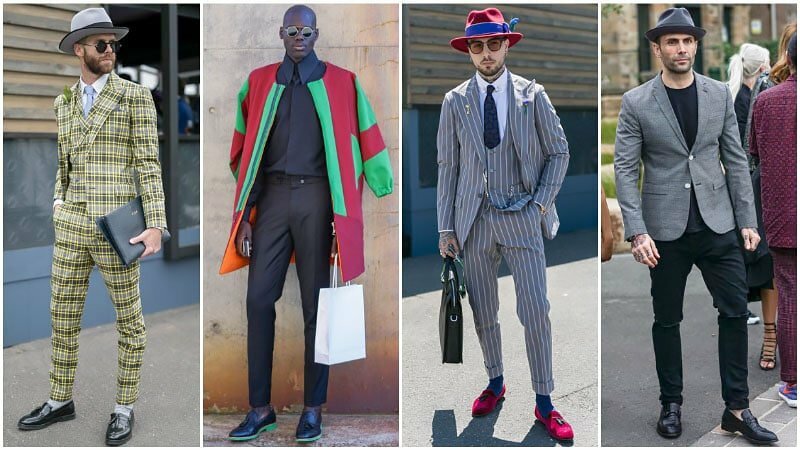 If you’re after a dash of colour for semi-formal looks, opt for cherry reds, emerald greens or cobalt blue loafers, but style with caution. Team brighter loafers with more subdued, classic tones like navies and whites so they annotate your looks more subtly. The key to pulling off loafers for formal looks is to choose the right material. Patent leather can add lots of dimension to formal looks. Make sure, however, that you opt for patent leather loafers in timeless colours like black to keep things relatively classic. 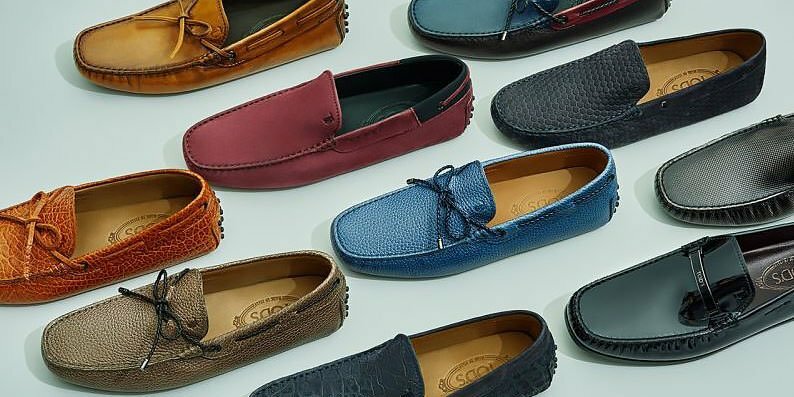 For a different approach, go for more textured loafers that’ll allow your shoes to stand out. Our pick? A high-quality velvet loafer that can be dressed up and will add depth to your looks. They’ll read classic and luxurious. 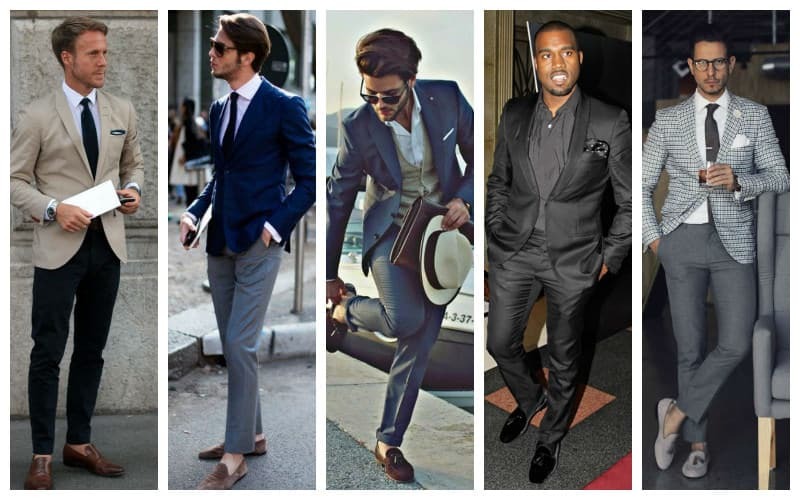 Whether you’re wearing a full suit or trousers with a shirt and blazer, loafers can make an excellent footwear option. These luxurious yet laidback shoes are perfect for formal dressing with flair. They are especially ideal for cocktail events, where you want to appear dapper but not drab. Loafers and chinos can also make a fantastic combination. As both chinos and loafers project a relaxed yet sophisticated aesthetic, wearing them together achieves an excellent smart casual appearance. As such, the pair is ideal for semi-formal daytime events, such as luncheons. To complete your look, just add a dress shirt, blazer, and, if you wish, a tie. If you’re looking to upgrade your casual attire, consider swapping out your regular sneakers and jeans for loafers and jeans. By wear loafers with denim, you’ll instantly elevate these casual pants to a more polished appearance. However, be careful of what you wear on top. While a simple T-shirt will leave your footwear looking out of place, a cotton shirt or rollneck sweater will provide the perfect complement. 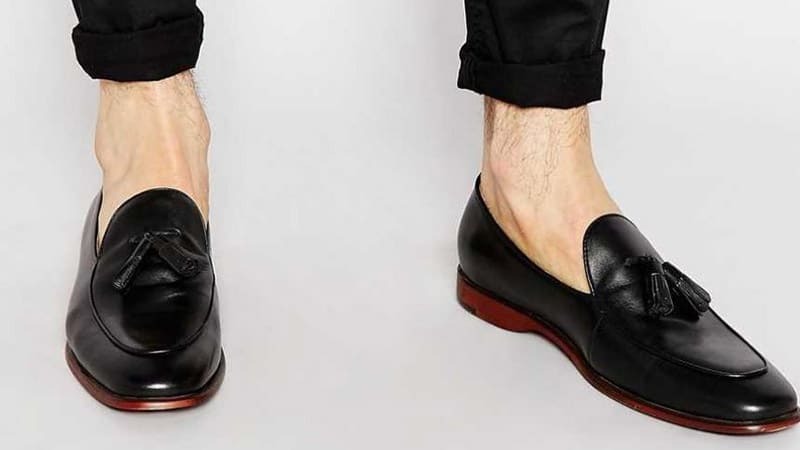 Loafers without socks are undoubtedly clean, relaxed and minimalist. If you choose to forgo socks, your clothing needs to be correctly fitted. Most importantly, you should opt for shorter length trousers, as it will complement the loafer style more. While ‘no socks’ works well, loafers with socks can also be done right, but be careful with how you style this combination. Choose a sock pattern that has colours which correspond to your clothing choices. Doing so will ensure your look registers as refined as opposed to looking messy. Penny loafers are a versatile pair of shoes that you can wear with most outfits. 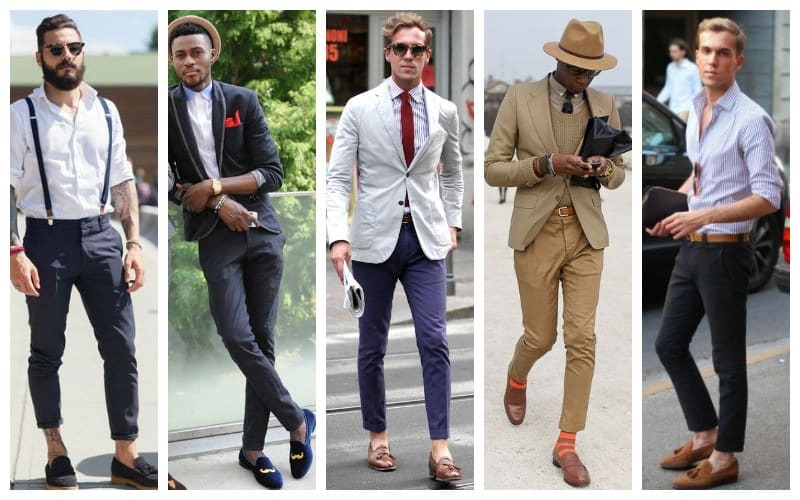 Loafers also align well with preppy blazers but stick to keeping the tones of your outfits in the same colour palette. 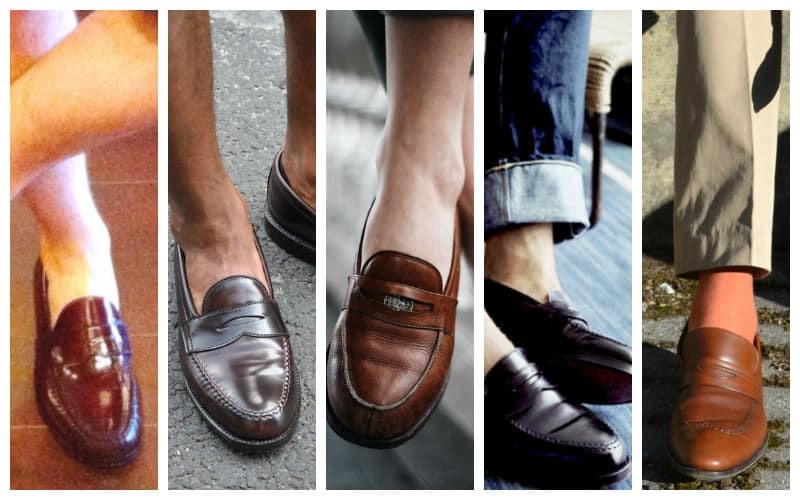 Loafers without socks are undoubtedly clean, relaxed and minimalist look. Suede loafers are incredibly adaptable because they can be dressed up and dressed down. Patent leather loafers can add dimension to formal looks.